Setting an example in swift disposal of lawsuits, the Delhi High Court has decided a long pending murder case in just three hours. 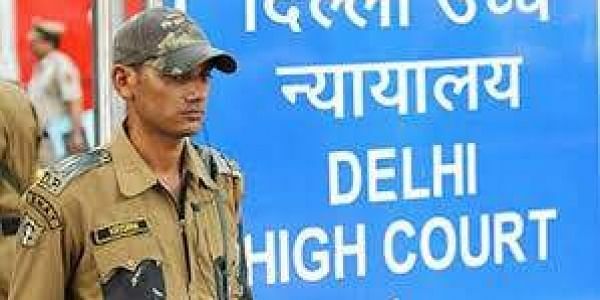 NEW DELHI: Setting an example in swift disposal of lawsuits, the Delhi High Court has decided a long pending murder case in just three hours. A bench of justices S Muralidhar and I S Mehta took up for hearing an appeal filed by a 29-year-old man, facing life term for killing his minor step-son, and acquitted him of the charges of murder. The bench was able to fast-track the matter as it was a relatively uncomplicated case not requiring a lengthy hearing or mountain of evidence. Mosin, a resident of Uttar Pradesh, was given life term by the trial court in September 2017 for smashing his three- -year-old step son's head on a stone after allegedly getting irritated by the child's continuous weeping at night. As per the police, the accused had killed the minor on the intervening night of May 26-27, 2012. He is in custody since May 2012. Advocate Sumeet Verma, filed an appeal before the high court on November 24, 2017, challenging the man's conviction and order on sentence. While admitting the man's appeal, who was working as a gardener at a nursery here, the bench had on first date of hearing called for the trial court's record. At the next hearing, the bench heard the arguments on behalf of the accused and the state and managed to wind up the hearing in three hours, including dictating the order. Advocate Verma said he was surprised by the speed with which the court dealt with the case and disposed it. Seeking acquittal of the convict, his counsel had argued that no motive has been established by the prosecution behind the murder of the deceased and even extra judicial confession purportedly made by his client to the nursery owner is a weak piece of evidence. Agreeing with the counsel, the bench said it is unable to "concur with the trial court that in the present case the extra-judicial confession purportedly made by the appellant to (nursery owner) inspires confidence and has been corroborated by other prosecution evidence". "Being a weak piece of circumstantial evidence, without satisfying the above requirement, it cannot be made the sole basis for returning a finding of guilt against the appellant for the offence under Section 302 (murder) IPC," the court said. It said that the trial court appears to have overlooked the fact that the room in which they were all sleeping was not bolted from inside on the fateful night. "The possibility of the child wandering away during the night has not been completely eliminated by the prosecution," it added.